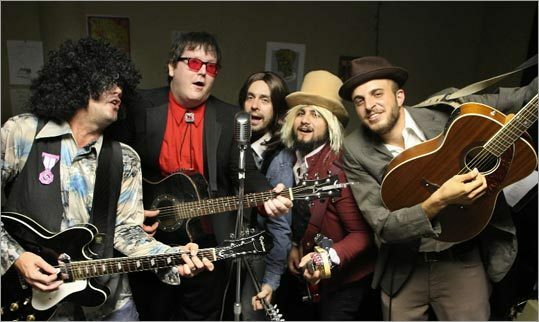 Even though it's a one-off gig, these guys put in the effort to really pay tribute to the music. 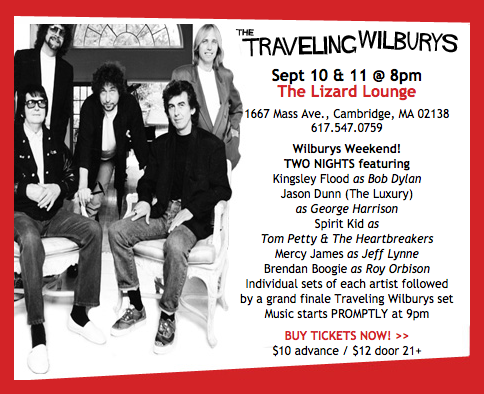 And they're taking it up a notch by having 5 groups performing as each of the Traveling Wilburys before they get together for a set of Wilbury madness. It should be a fun night at my favorite dinky basement bar in the world (seriously). Kudos to Señor Boogie and his team for organizing these Cover-Up nights. This series is one of the best gigs in any month we get one. They say the music will start promptly at 9pm.